Django is a powerful web framework that can help you get your Python application or website off the ground. 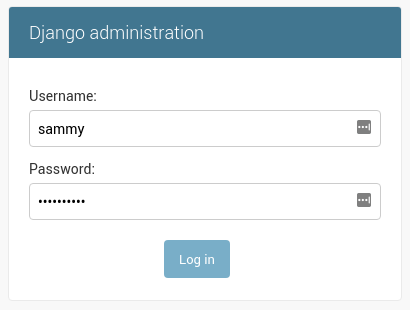 Django includes a simplified development server for testing your code locally, but for anything even slightly production related, a more secure and powerful web server is required. In this guide, we will demonstrate how to install and configure some components on Debian 9 to support and serve Django applications. We will be setting up a PostgreSQL database instead of using the default SQLite database. We will configure the Gunicorn application server to interface with our applications. We will then set up Nginx to reverse proxy to Gunicorn, giving us access to its security and performance features to serve our apps. In order to complete this guide, you should have a fresh Debian 9 server instance with a basic firewall and a non-root user with sudo privileges configured. You can learn how to set this up by running through our initial server setup guide. We will be installing Django within a virtual environment. Installing Django into an environment specific to your project will allow your projects and their requirements to be handled separately. Once we have our database and application up and running, we will install and configure the Gunicorn application server. This will serve as an interface to our application, translating client requests from HTTP to Python calls that our application can process. We will then set up Nginx in front of Gunicorn to take advantage of its high performance connection handling mechanisms and its easy-to-implement security features. To begin the process, we’ll download and install all of the items we need from the Debian repositories. We will use the Python package manager pip to install additional components a bit later. We need to update the local apt package index and then download and install the packages. The packages we install depend on which version of Python your project will use. This will install pip, the Python development files needed to build Gunicorn later, the Postgres database system and the libraries needed to interact with it, and the Nginx web server. We’re going to jump right in and create a database and database user for our Django application. By default, Postgres uses an authentication scheme called “peer authentication” for local connections. Basically, this means that if the user’s operating system username matches a valid Postgres username, that user can login with no further authentication. You will be given a PostgreSQL prompt where we can set up our requirements. Note: Every Postgres statement must end with a semi-colon, so make sure that your command ends with one if you are experiencing issues. Postgres is now set up so that Django can connect to and manage its database information. Now that we have our database, we can begin getting the rest of our project requirements ready. We will be installing our Python requirements within a virtual environment for easier management. To do this, we first need access to the virtualenv command. We can install this with pip. This will create a directory called myprojectenv within your myprojectdir directory. Inside, it will install a local version of Python and a local version of pip. We can use this to install and configure an isolated Python environment for our project. Your prompt should change to indicate that you are now operating within a Python virtual environment. It will look something like this: (myprojectenv)user@host:~/myprojectdir$. Note: When the virtual environment is activated (when your prompt has (myprojectenv) preceding it), use pip instead of pip3, even if you are using Python 3. The virtual environment's copy of the tool is always named pip, regardless of the Python version. You should now have all of the software needed to start a Django project. With our Python components installed, we can create the actual Django project files. ~/myprojectdir/manage.py: A Django project management script. ~/myprojectdir/myproject/: The Django project package. This should contain the __init__.py, settings.py, urls.py, and wsgi.py files. ~/myprojectdir/myprojectenv/: The virtual environment directory we created earlier. Start by locating the ALLOWED_HOSTS directive. This defines a list of the server's addresses or domain names may be used to connect to the Django instance. Any incoming requests with a Host header that is not in this list will raise an exception. Django requires that you set this to prevent a certain class of security vulnerability. Note: Be sure to include localhost as one of the options since we will be proxying connections through a local Nginx instance. Next, find the section that configures database access. It will start with DATABASES. The configuration in the file is for a SQLite database. We already created a PostgreSQL database for our project, so we need to adjust the settings. You will have to select a username, provide an email address, and choose and confirm a password. You will have to confirm the operation. The static files will then be placed in a directory called static within your project directory. If you followed the initial server setup guide, you should have a UFW firewall protecting your server. In order to test the development server, we'll have to allow access to the port we'll be using. When you are finished exploring, hit CTRL-C in the terminal window to shut down the development server. This will start Gunicorn on the same interface that the Django development server was running on. You can go back and test the app again. Note: The admin interface will not have any of the styling applied since Gunicorn does not know how to find the static CSS content responsible for this. We passed Gunicorn a module by specifying the relative directory path to Django's wsgi.py file, which is the entry point to our application, using Python's module syntax. Inside of this file, a function called application is defined, which is used to communicate with the application. To learn more about the WSGI specification, click here. When you are finished testing, hit CTRL-C in the terminal window to stop Gunicorn. The virtual environment indicator in your prompt will be removed. We have tested that Gunicorn can interact with our Django application, but we should implement a more robust way of starting and stopping the application server. To accomplish this, we'll make systemd service and socket files. The Gunicorn socket will be created at boot and will listen for connections. When a connection occurs, systemd will automatically start the Gunicorn process to handle the connection. Next, we'll open up the [Service] section. We'll specify the user and group that we want to process to run under. We will give our regular user account ownership of the process since it owns all of the relevant files. We'll give group ownership to the www-data group so that Nginx can communicate easily with Gunicorn. We can confirm that the operation was successful by checking for the socket file. Take another look at your /etc/systemd/system/gunicorn.socket file to fix any problems before continuing. Jul 09 20:00:40 django1 systemd: Started gunicorn daemon. Jul 09 20:00:41 django1 gunicorn:  - - [09/Jul/2018:20:00:41 +0000] "GET / HTTP/1.1" 200 16348 "-" "curl/7.58.0"
Make sure you troubleshoot the above issues before continuing. Now that Gunicorn is set up, we need to configure Nginx to pass traffic to the process. You should now be able to go to your server's domain or IP address to view your application. Note: After configuring Nginx, the next step should be securing traffic to the server using SSL/TLS. This is important because without it, all information, including passwords are sent over the network in plain text. If you have a domain name, the easiest way get an SSL certificate to secure your traffic is using Let's Encrypt. Follow this guide to set up Let's Encrypt with Nginx on Debian 9. Follow the procedure using the Nginx server block we created in this guide. If you do not have a domain name, you can still secure your site for testing and learning with a self-signed SSL certificate. Again, follow the process using the Nginx server block we created in this tutorial. If this last step does not show your application, you will need to troubleshoot your installation. If Nginx displays the default page instead of proxying to your application, it usually means that you need to adjust the server_name within the /etc/nginx/sites-available/myproject file to point to your server's IP address or domain name. Nginx uses the server_name to determine which server block to use to respond to requests. If you are seeing the default Nginx page, it is a sign that Nginx wasn't able to match the request to a sever block explicitly, so it's falling back on the default block defined in /etc/nginx/sites-available/default. The server_name in your project's server block must be more specific than the one in the default server block to be selected. A 502 error indicates that Nginx is unable to successfully proxy the request. A wide range of configuration problems express themselves with a 502 error, so more information is required to troubleshoot properly. Now, make another request in your browser to generate a fresh error (try refreshing the page). You should see a fresh error message written to the log. If you look at the message, it should help you narrow down the problem. This indicates that Nginx was unable to find the gunicorn.sock file at the given location. You should compare the proxy_pass location defined within /etc/nginx/sites-available/myproject file to the actual location of the gunicorn.sock file generated by the gunicorn.socket systemd unit. If you cannot find a gunicorn.sock file within the /run directory, it generally means that the systemd socket file was unable to create it. Go back to the section on checking for the Gunicorn socket file to step through the troubleshooting steps for Gunicorn. This indicates that Nginx was unable to connect to the Gunicorn socket because of permissions problems. This can happen when the procedure is followed using the root user instead of a sudo user. While systemd is able to create the Gunicorn socket file, Nginx is unable to access it. The output displays the permissions of each of the directory components. By looking at the permissions (first column), owner (second column) and group owner (third column), we can figure out what type of access is allowed to the socket file. In the above example, the socket file and each of the directories leading up to the socket file have world read and execute permissions (the permissions column for the directories end with r-x instead of ---). The Nginx process should be able to access the socket successfully. If any of the directories leading up to the socket do not have world read and execute permission, Nginx will not be able to access the socket without allowing world read and execute permissions or making sure group ownership is given to a group that Nginx is a part of. Django Is Displaying: "could not connect to server: Connection refused"
If you are still having issues, make sure the database settings defined in the ~/myprojectdir/myproject/settings.py file are correct. For additional troubleshooting, the logs can help narrow down root causes. Check each of them in turn and look for messages indicating problem areas. 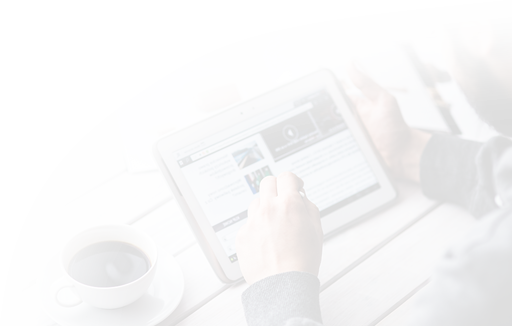 As you update your configuration or application, you will likely need to restart the processes to adjust to your changes. These commands are helpful for picking up changes as you adjust your configuration. 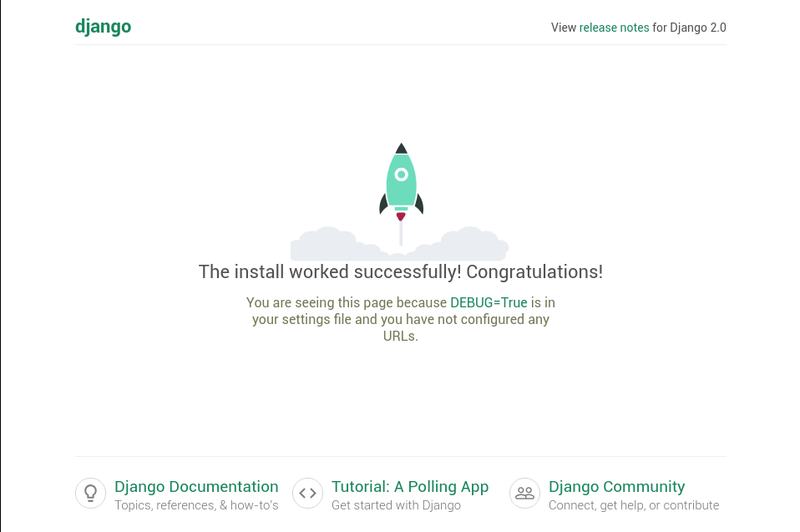 In this guide, we've set up a Django project in its own virtual environment. We've configured Gunicorn to translate client requests so that Django can handle them. Afterwards, we set up Nginx to act as a reverse proxy to handle client connections and serve the correct project depending on the client request. Django makes creating projects and applications simple by providing many of the common pieces, allowing you to focus on the unique elements. By leveraging the general tool chain described in this article, you can easily serve the applications you create from a single server.